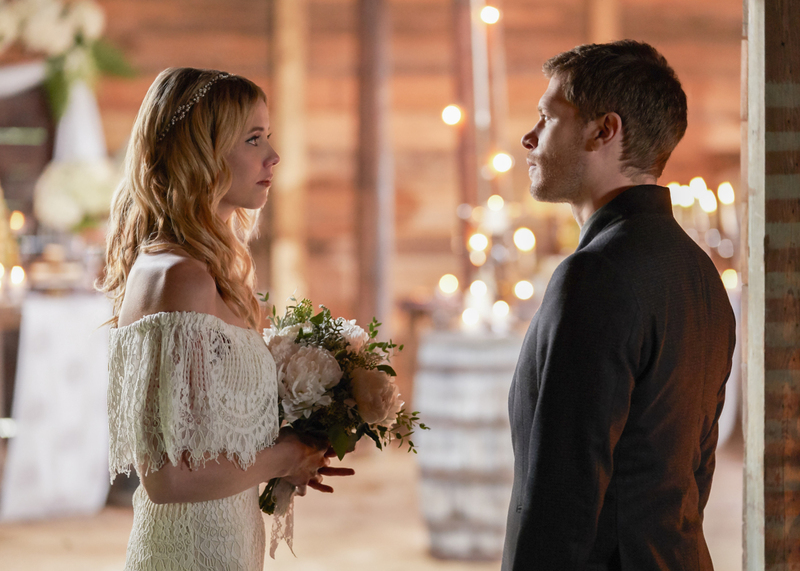 Spoiler description and preview images for The Originals episode "Til The Day I Die"
The CW has released an official description for the July 18 episode of The Originals…. season five, it’s time for a wedding! The episode is called “Til The Day I Die” and the write-up with spoilers can be found below. The Originals -- "'Til the Day I Die" -- Image Number: OR511A_0010b.jpg -- Pictured (L-R): Riley Voelkel as Freya and Joseph Morgan as Klaus -- Photo: Bob Mahoney/The CW -- ÃÂ© 2018 The CW Network, LLC. All rights reserved.